Ready to see the world? This graphic shows your viewers where they're headed. A white-and-green map sits on a neutral background with six color-coded dots—one for each habitable continent (Antarctica doesn't appear on the map). Crisp folds give the chart some depth, and the green gradually deepens as it moves away from an unseen light source. 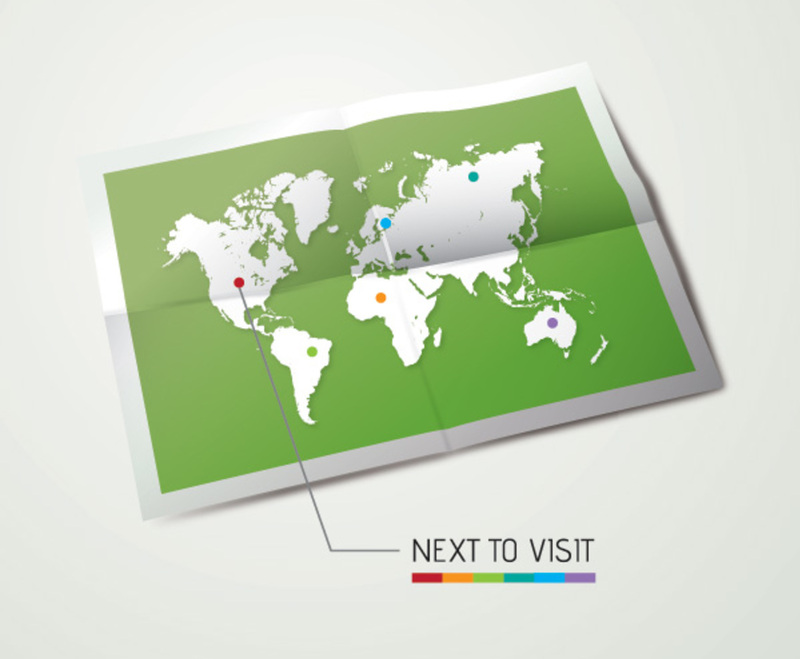 A line extends from North America with the words “Next to Visit” over a multicolored line. Whether you're trying to get viewers to plan a vacation or you're showing off your business's growth, this is a versatile graphic with a clean, refreshing look.